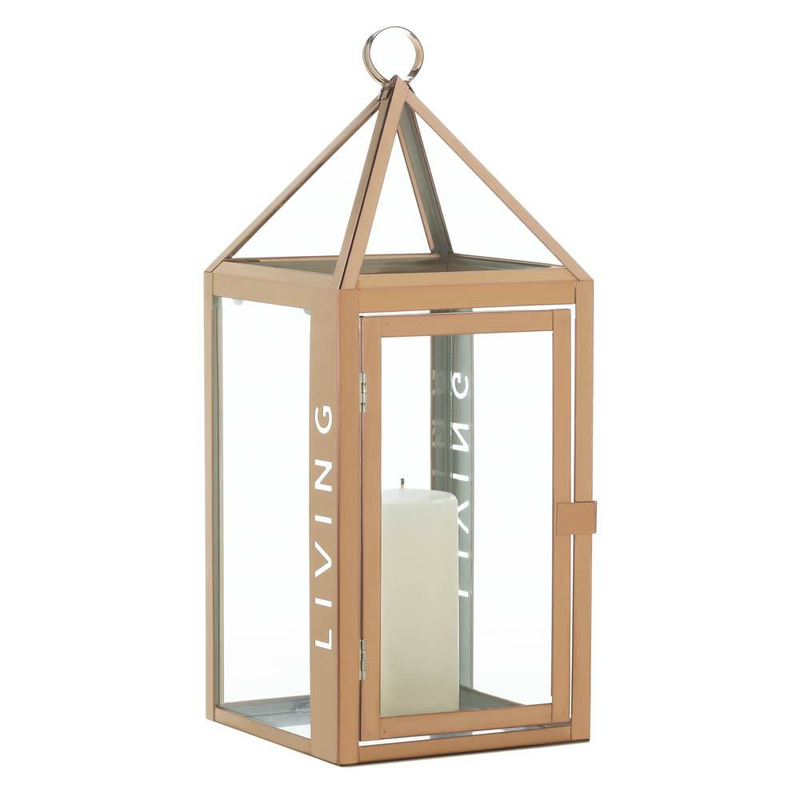 Celebrate living in style with this large rose-colored metal lantern. 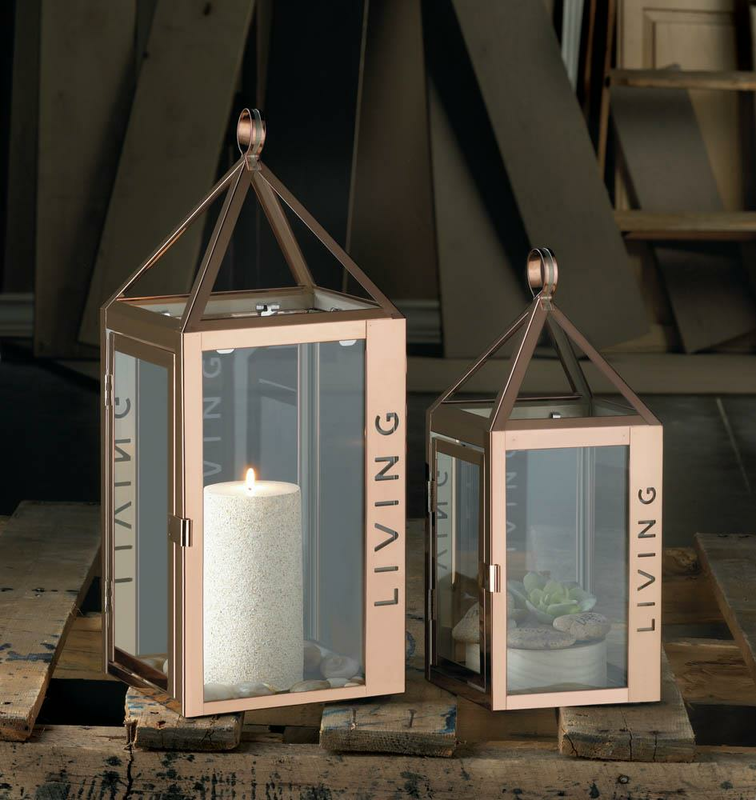 The rectangular framework features the cutout word "living" that will sparkle with candlelight when you add the candle of your choice inside. Weight 3.2 pounds. 7" x 7" x 17.5". 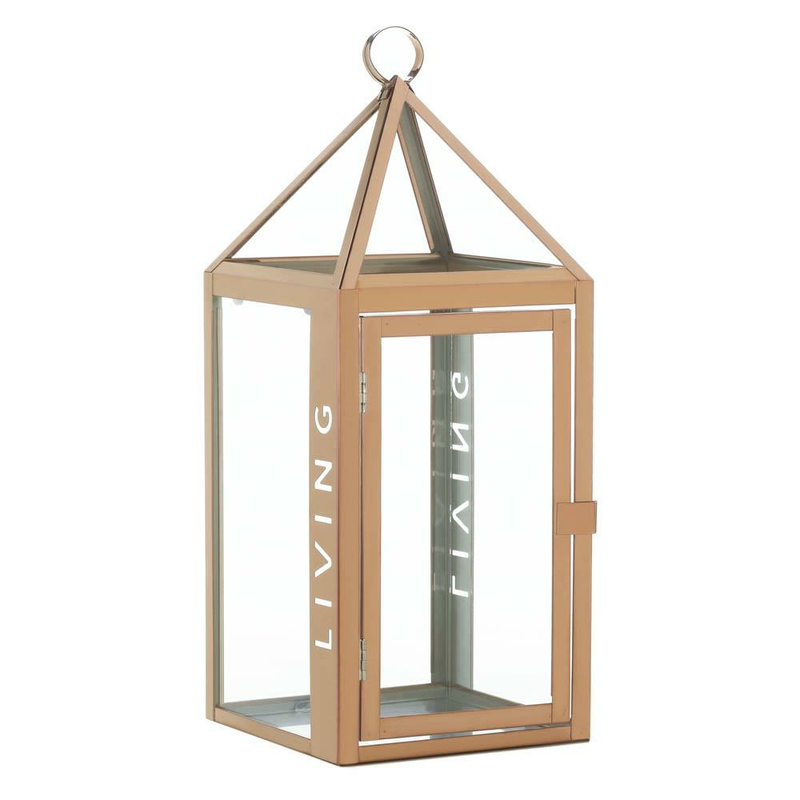 Stainless Steel, Glass. UPC Number: 849179035518.